First of all, many thanks to those who send EUROMIL text messages and emails last weekend after the alarming situation in Belgium and in particular the Brussels area. Yes, we are all doing well and no, we are not living in some kind of war zone! However the security situation is of a kind that extreme vigilance is required! Soon after the horrible attacks in Paris it became clear that there is a link with extremists – Muslims extremists, foreign fighters that returned from Syria, radicalised young men and women, … – living in the Brussels area. Suddenly Molenbeek became a known part of Brussels all over the world! Since several months, the Belgian Coordination Unit for Threat Analysis (CUTA), advised the security council, composed of several members of the Belgian Government and representatives of the security forces, to raise the threat level. 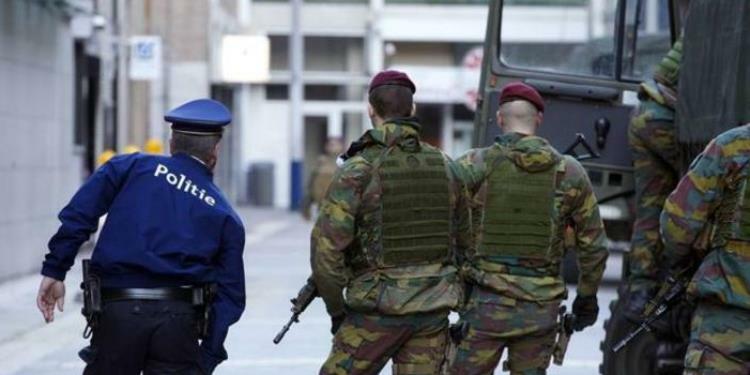 One of the consequences was a higher presence of police at most of the Brussels hotspots and soldiers to fill in the missing capabilities of the Belgian police forces. It is clear that for security reasons the threats as such are still unknown. But it is a fact that as of Friday evening, 21 November 2015, the threat level went up to 4 which is the highest possible level if it appears that the threat against the person, group or event is very serious and imminent. Due to this high threat level, metro stations were closed this weekend, most of the shops in the Brussels area closed their doors and all events were cancelled. Due to the threat level 4, over 500 soldiers have been called to ensure safety in the Brussels area and other hotspots in the country. In these times of crisis it is acceptable that all possible security resources are used to ensure the safety of the country, its population and the international institutions based in the capital of Europe. However, one has to be vigilant that these measures are not turning into longer lasting structural situations without discussing and deciding on the core business of police and armed forces. On Sunday 22 November 2015, the Belgian security council together with the CUTA and security forces analysed the situation and the Prime Minister announced new decisions. It was decided that the threat level 4 will remain unchanged for Brussels. This means that schools, university and metro will stay closed and this at least until the next security assessment on Monday afternoon. Several employers such as the bank sector called on their personnel not to come to Brussels and work at home. For the rest of Belgium the threat level 3 will apply, meaning that it appears that the threat against a person, group or event is possible and probable. We can only hope that the situation will soon stabilise!